EDIT: Apparently blogging while half asleep leads to not including any pictures of the item you’re actually giving away! Sorry about that friends! The post has now been upated to include pictures! Tomorrow is Foodie Penpals reveal day, but today I have a bit of a Foodie Penpals teaser complete with my very first giveaway!! This month I received a package from Krysty over at Little Runner Girl. In addition to the delicious food goodie, my box contained one of the headbands Krysty makes. Can I just tell you all, I am obsessed with this headband. I have an extremely round head, and usually cannot wear headbands because they slip and slide off my head or dig in behind my ears and cause headaches. Needless to say, the fact that Krysty’s ‘Trophy Band stays put all day is a huge win in my book! My name is Krysty, and I started K@tastrophy Designs and ‘Trophy Bands last year as a way to raise funds for the Leukemia and Lymphoma Society as a participant in Team in Training. I had been searching for years for a headband that would stay put all day, and especially during exercise. Every one I tried just slipped right off, and often times went flying across the room! But now, I don’t have to worry about that any more! I will be honest, I purchased a rather expensive similar headband and it worked great. But it was really expensive and I wanted more! So I got crafty and and got to work at the sewing machine! It didn’t take long before my friends were snatching them up! And the bonus is that they are a bit more affordable than some of the other competitors. Right now the K@tastrophy Designs site has tons of designs for headbands, and I am so amazed at how this has grown over the last year! There are new designs added every season, and I am busy designing new Special Occasion ‘Trophy Bands hopefully to be out by the Holiday Season this year. And I have started taking custom orders as well! Own your own business? These headbands are a great way to advertise your business and get your name out there! Or if you are looking for a specific color, or pattern I am more than happy to oblige. I also added a fundraising option this spring because after all that is why I started this in the first place; and I love giving back to my community. I think it is so cool that Krysty uses her awesome skills to help fundraise for a great organization! I definitely plan to buy a few more headbands from Krysty in the near future, but you have an opportunity to win one right here! I’m having a hard time deciding between the neon Trophy Bands and the glittery ones! Want to give K@tastrophy Designs headbands a try? Now is your chance to win one of your very own! This contest is open to U.S. residents age 18 or over only. To enter: leave a comment here telling me which of the headbands from K@tastrophy Designs you would choose if you won. For a bonus entry “Like” Running in Chucks and K@tastrophy Designs on Facebook and leave a comment here letting me know. An additional bonus entry can be received by Tweeting “I want to win a Trophy band from @stina6584 and @krystyt! 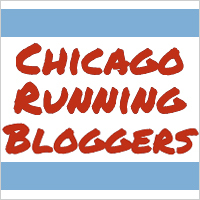 Visit http://runninginchucks.com/?p=298 for a chance to win your own” and comment with a link to your tweet. Entries close on July 6, 2012. To enter you must be 18 or older and a valid U.S. Resident. Winner will be chosen by random drawing from the pool of comments on this post. To be considered for the prize, you must provide a valid email address. Once a winner is notified and verified, K@tastrophy Designs will be provided with the contact information of the winner, and they will be responsible for prize fulfillment. The number of eligible entries received determines the odds of winning. To enter, leave a comment on this post stating which headband you would choose if you won. No purchase necessary to win. Entries will close on July 6, 2012 at noon (CST). The winner will be contacted by email on or before July 9, 2012. If the winner does not claim the prize within seven days, the original winner forfeits the prize and a second random entry will be chosen from the pool. This contest is sponsored by Running in Chucks and K@tastrophy Designs and is void where prohibited by law.